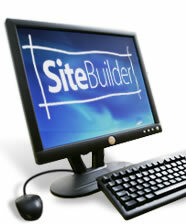 1 Years Website Hosting & Webmail Including 10 Page SiteBuilder. 1 Years Website Hosting & Up to 25 pop3 email address Webmail access Including 25 SiteBuilder web pages. 2 Years Website Hosting & Webmail Including 10 Page SiteBuilder. 1 Years Website Hosting & Up to 50 pop3 email address Webmail access Including Unlimited SiteBuilder Web pages. 2 Years Website Hosting & Unlimited pop3 email address, Webmail access Including Unlimited SiteBuilder Web pages.